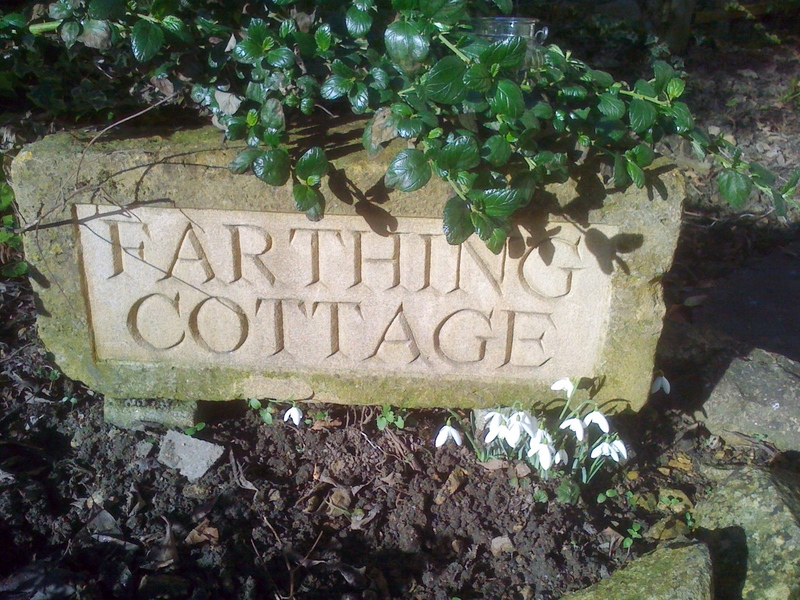 Farthing Cottage is a very pretty traditional Cotswolds self-catering holiday cottage which is available for both long and short breaks. 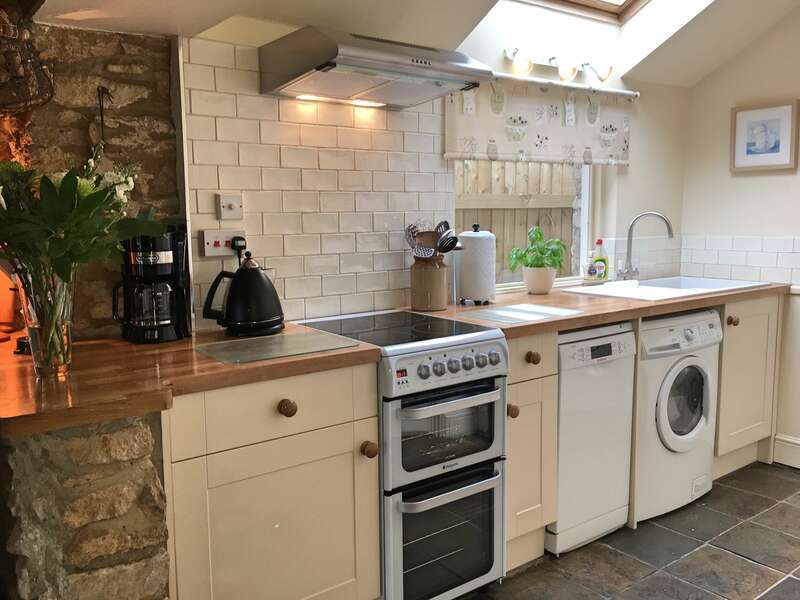 The holiday cottage is perfectly situated in a quiet back water of the historic Cotswolds market town of Stow-on-the-Wold, yet only a two-minute walk to the market square with its restaurants, gastro-pubs, delicatessens, art galleries and interesting shops. 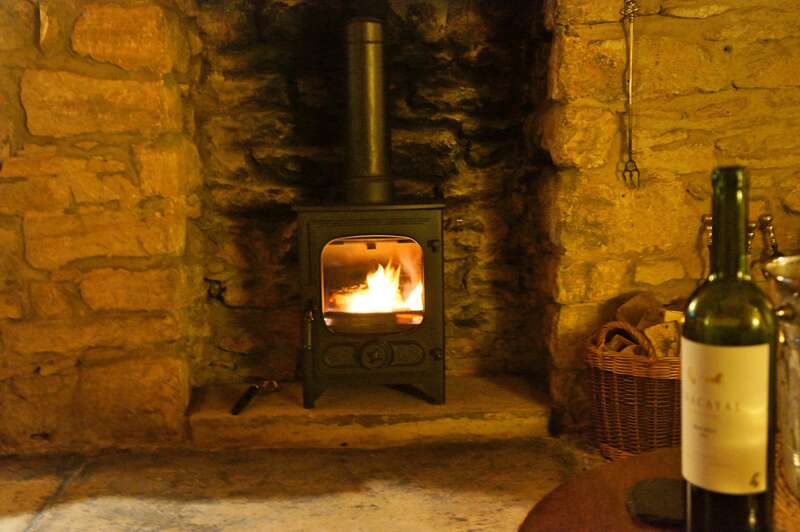 Being over 200 years old, the cottage has a wealth of character with beams, the original Cotswolds stone floor, stone walls and a lovely fireplace complete with wood burning stove. Lovingly refurbished, Farthing Cottage offers a lovely mix of character features and modern conveniences and is a popular romantic ‘bolt-hole’ for couples’ who want to tuck themselves away whilst enjoying the benefits of great places to eat on the doorstep. The holiday cottage benefits from private off-road parking for 1-2 cars (a rarity in Stow!) which is located at the front of the cottage. 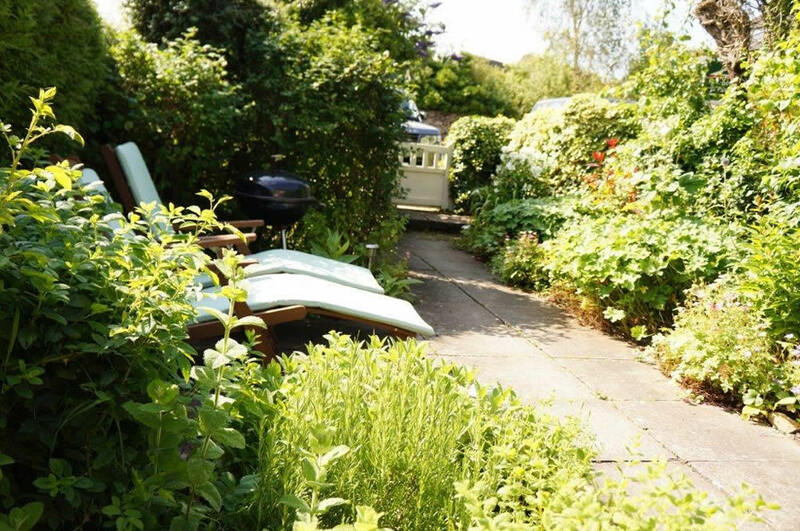 From here the cottage is approached through the garden which is a sun trap and a perfect place to relax. Table, chairs, sun umbrella, BBQ and sun loungers are provided in the warmer weather for guests use. You enter the cottage via the sun room which is also the dining area overlooking the garden. 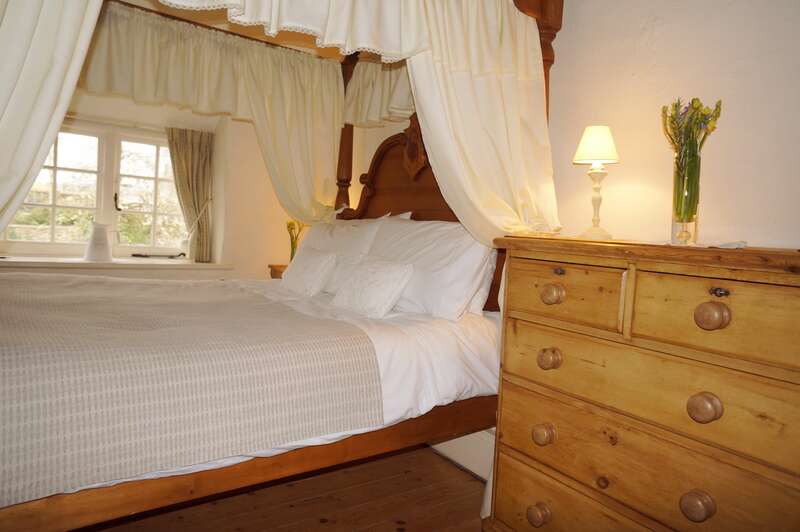 From here there is the living area which has a delightful atmosphere and is full of traditional character with a heavily beamed ceiling, Cotswold stone walls and floor and a lovely, working wood burning stove creating a magical atmosphere. This room also has a flatscreen television (with DVD player and iPod docking), HiFi, plus wireless broadband access throughout the cottage. 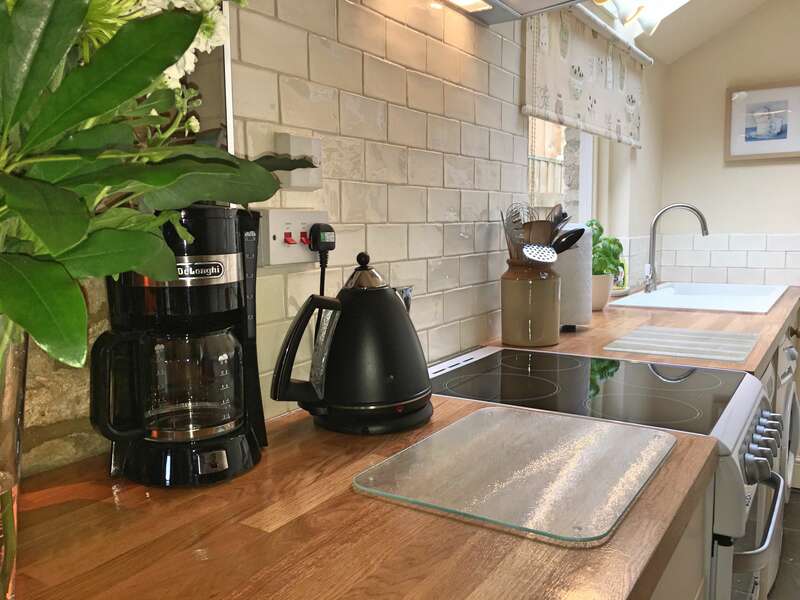 At the rear of the cottage is the kitchen area which is well equipped with a dishwasher, electric cooker and hob, microwave, fridge, freezer and washer dryer. The shower room is also located at the rear of the cottage with a standard sized toilet and basin and a walk-in shower cubicle with electric shower. Upstairs is the bedroom which again has lots of character with exposed pine wooden floor boards, beams on the vaulted ceiling and views over the garden. 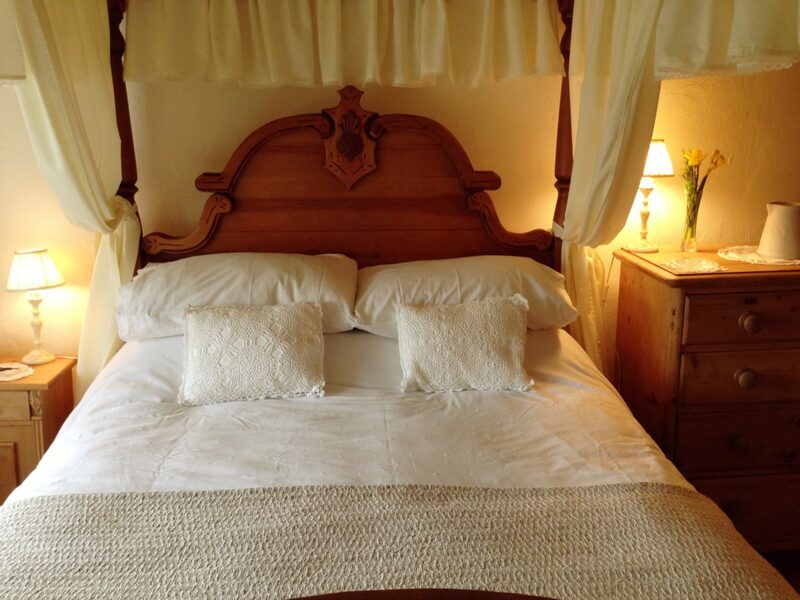 A very pretty hand made four poster bed, crisp linens and antique pine furniture help to create a very special and truly romantic atmosphere. 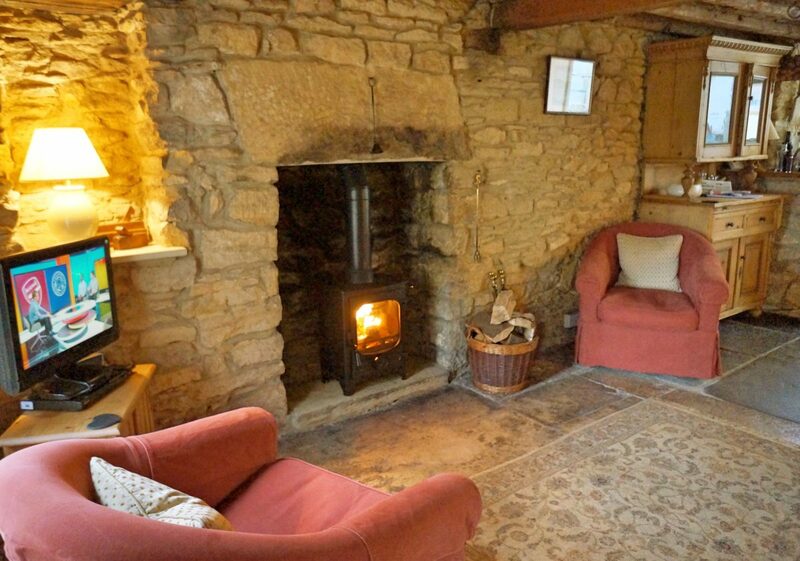 Farthing cottage is the ideal holiday cottage for two people. 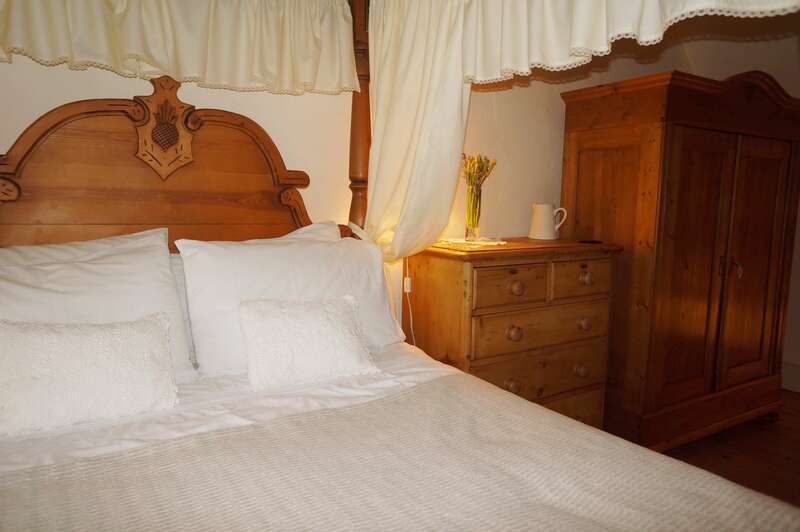 The cottage offers the perfect location for anyone looking for a truly romantic and relaxing retreat with the added benefit of being in the heart of one of the most popular historic market towns in the Cotswolds. 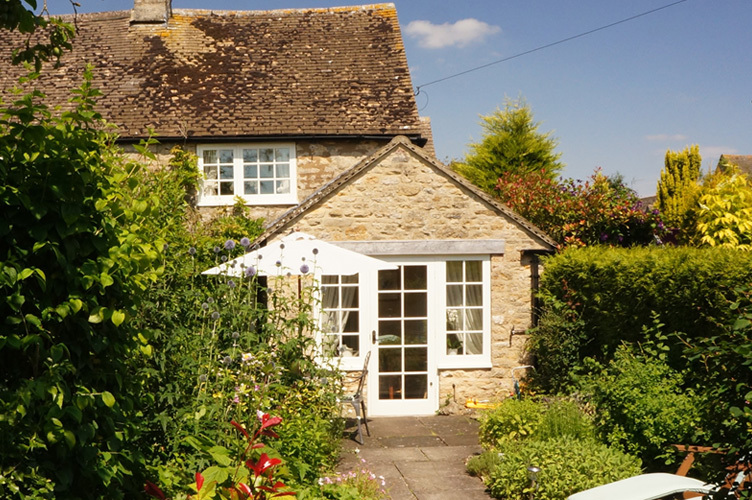 For those wanting to relax, explore the Cotswolds, enjoy wonderful walks, visit popular places and be spoilt for choice with fantastic places to eat, this holiday cottage in the Cotswolds is a must. Tariff is for two people and includes: electricity, central heating and hot water (gas), linen, towels (bath towel and hand towel per person), Wi-Fi and local rate phone calls. Tariff quoted is for one week (Friday to Friday). Change-over day is usually Friday during peak season, but other days may be accommodated by arrangement. Short breaks can also be arranged – please enquire. We recomend that you take out personal holiday insurance.